Unwind the clock of modern life. Unlock the door to a wonder of Lorne & The Great Ocean Road. 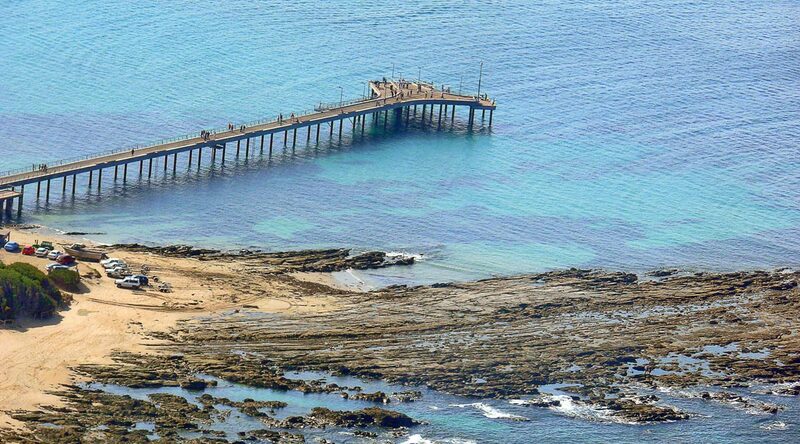 Lorne & the region of the Great Ocean Road offers many famous scenic destinations and a range of outdoor activities including; bushwalking, swimming and surfing, beachcombing, fishing, tennis, golf, mountain bike riding, horse riding, photography, lawn bowls, 4WD and much, much more. Erskine Falls is a short drive out of Lorne on appropriately named Erskine Falls Road. 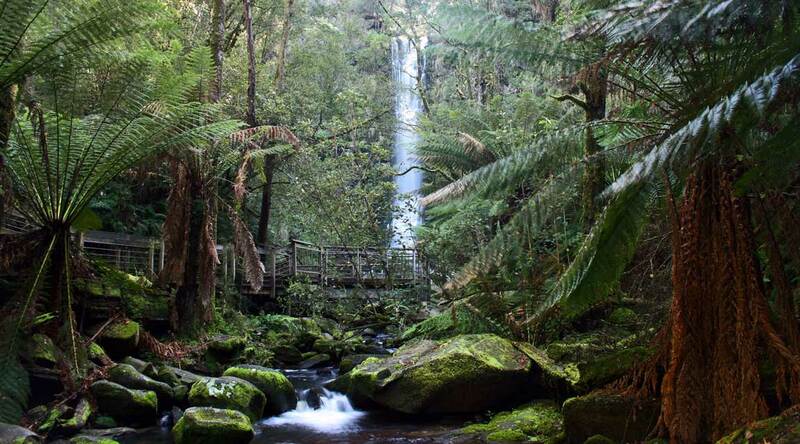 It is one of the most popular falls in the Otways and easily accessible. The 30 metre falls are attractive even when there is little water tumbling into the pool below. It is an easy walk to the first lookout, providing a spectacular view over the falls. The steep climb down steps to the second lookout is more strenuous, but worth it for the view from the beautiful fern gully. 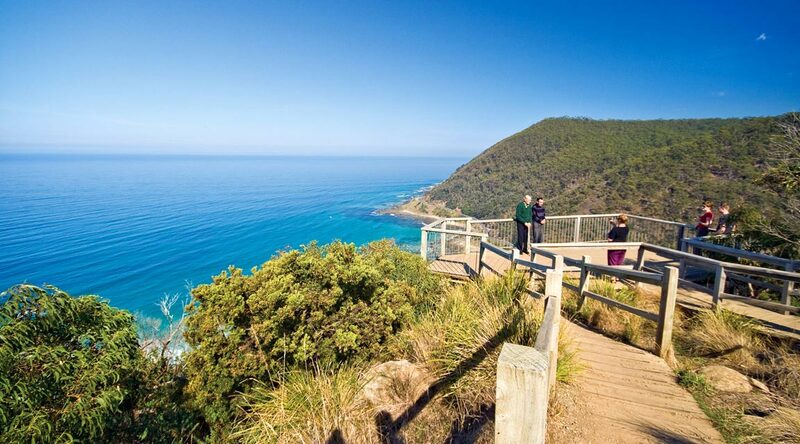 A short drive to the top end of George Street at the back of Lorne is the scenic spot known as Teddys Lookout. A newly constructed walkway takes you to the viewing platform where you have breath taking, sweeping, coastal views of the surf breaking into the mouth of the Saint George River. On the lower platform to the right, views change to mountainous peaks and the Saint George river winding itself into fern covered valleys and gorges. A truly worthwhile spot for scenic views of the Great Ocean Road. While anytime of the day provides a great spectacle, sunrise and sunset are particularly impressive for the blazing hues created. 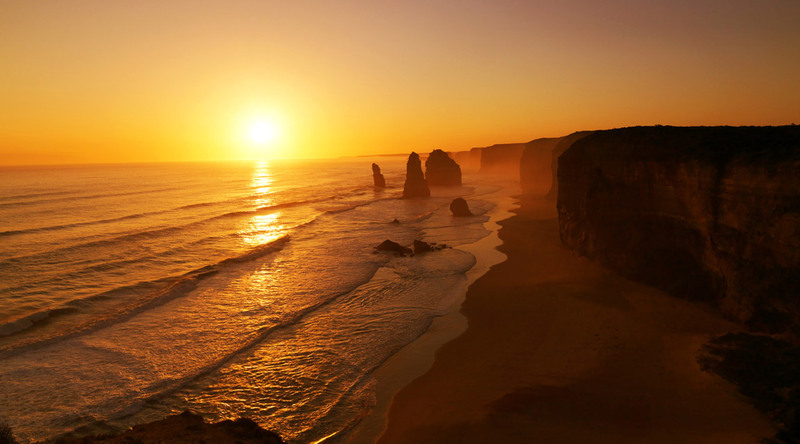 A visit to the 12 Apostles begins at the 12 Apostles Visitor Centre. The parking area is designed to cater for the 1.2 million visitors annually that enjoy the site. A tunnel takes people under the Great Ocean Road to extensive boardwalk and viewing platforms.